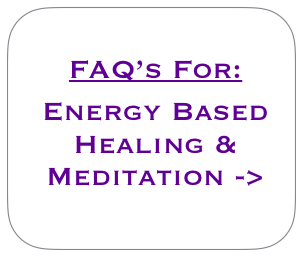 What Is Energy Based Healing? Once we can accept that all of the physical things that we see around us, including ourselves, are simply vibrational patterns of energy, it is much easier to understand the true nature of energy based healing. If we can also believe that our thoughts and our intentions create vibrational waves of different energetic frequencies; waves which then remain within our consciousness as we go about our daily lives, then again we can move closer to understanding the concepts within energy based healing. Energy based healing practices can help us to raise our vibration closer to that of love, light and divine understanding of ourselves in what is invariably an empowering and uplifting process of learning and growth. These types of practices can be deeply satisfying as we explore ways in which we can better ourselves and become more healthy & happy as we become more connected to that which we truly are. "Love is the strongest force - Love heals the deepest wounds"